End of year parties are all about your team letting their hair down and celebrating, but for you, it’s often all about logistics. This year, that changes! In this post, we’ll look at how to arrange transport for guests using different Uber for Business solutions, to ensure everyone gets to the venue on time in style, and more importantly, with minimal fuss. The key takeaway to remember here is that regardless of the size of your party, the mix of your guests, or even if some don’t own a smartphone–we’ll point you to the best solution for leveraging Uber to make your event a hit! 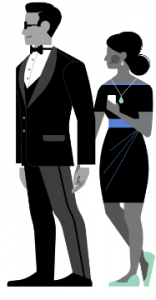 Think of it this way–30 minutes spent using Uber for Business to nail down your travel in advance means true ‘set and forget’ travel to and from your event on the big night. First steps first – the guest list! You’ve probably already spent a lot of time thinking about this, but before you start, it’s worthwhile thinking if there are any different groups you need to get to and from the event and if you’d like to offer different levels of service. For example, while uberX might be the best option for the bulk of your team, you might want to deliver a premium experience with UberBLACK for special guests. As you’ll see below, that will inform the most suitable solution for you to use. Another advantage of this prep work in advance is safety. It’s a crucial part of any office-sponsored event, and that includes how your guests get home. Quite simply, instead of your entire office spilling and stumbling out onto the pavement once the music stops, you can have everything buttoned down so requesting an Uber home is a safe and effortless end to the night. If you’re planning an office party where all of your guests are employees, using your Uber for Business dashboard is the best place to start. All that’s required from you is to create a new travel program specifically for the event, and then removing it afterward. To get started with this approach, log into your Uber for Business dashboard, and select Uber Travel under the Permissions header. Then, select Create Travel Program. Expense Code: Leave this blank, unless you have a code already established for events like the end of year party. Spend Allowance: You can opt here to cover the full cost of travel to the event, and home afterward, but for a larger team, you may want to set a spend limit instead, to cover variation in rides home (you can also restrict this by date). Locations: This is one of the most powerful controls you can use. By selecting Limited locations, you can ensure your team can only travel to and from the venue, and not elsewhere. Time: Another important control, be sure to limit your program to the day and hours of the event. But be sure to remove this policy the following week, to ensure it doesn’t repeat. Once you’ve set these controls, you can then choose to which groups your party travel program will apply. For instance, you may want to create two programs for two different groups of employees, who work at different offices. Pro tip: Remember one employee can only exist in one group at a time, but each group can have multiple programs applied to it. On the employee side, as soon as it comes time to head to the party, they just open their Uber app, and in the top right corner, select the travel program you’ve created. Don’t have Uber for Business? Getting started is simple. 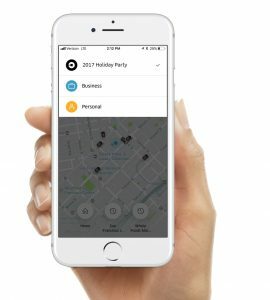 Another great way to get your most valued guests, clients, or customers to your end of year party is to use the new scheduled and flexible ride options in Uber Central. Uber Central is a way for you, the party organizer, to arrange and pay for rides for your guests, all from one centralized dashboard. It’s an easy and affordable way to control and deliver the Uber experience–think of it as your automated concierge for the evening! Uber Central is best suited to those guests you want to invite from outside your company and set up rides for on a one-off basis, or even company VIPs who you want to free up from having to manage their own ride. You schedule the ride in advance, and they ride when they need to on the night! It’s also perfect for those people who don’t have a smartphone, the Uber app, or don’t feel comfortable managing rides themselves–the process is easily managed over SMS. First things first. If you’re not logged into Uber Central, go to central.uber.com and log in. 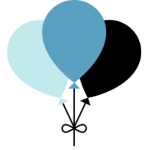 Psst: Uber Central is a part of Uber for Business. If you’re already an Uber for Business user, look for the ‘Uber Central’ tab to get started. If you’re not a user already, get started here. At the top, specify when you’d like an Uber to arrive. In most cases, you’ll want to select Flexible pickup, meaning your guests will just click a link when they’re ready to travel to and from your event. You also have two other options: Immediate pickup, or schedule an exact date and time. For each rider, you’ll just need their name, mobile phone number, and the address they should be picked up from. You can then specify the level of service, or vehicle class, your guests will receive. Just like with Travel Programs, this is where you can get creative and offer an incredible pre-event experience by spending only a little more. Once you’ve added all the guests you’d like to offer travel for – that’s it! They’ll receive an SMS straight away informing them that their travel to the party is sorted, and then another reminder message on the day of the event. Summing up – more party, less stress! Whichever option you choose, the end goal is here to ensure that you can worry less about buses running late, employees trying to bulk call taxis, and the safety of your teams traveling home, and focus on planning and delivering an incredible party. 30 minutes spent in Uber for Business can save you frantic hours ahead of the big event trying to wrangle transport. And you’ll look all the better for saving time and money, all while leaving everyone impressed!